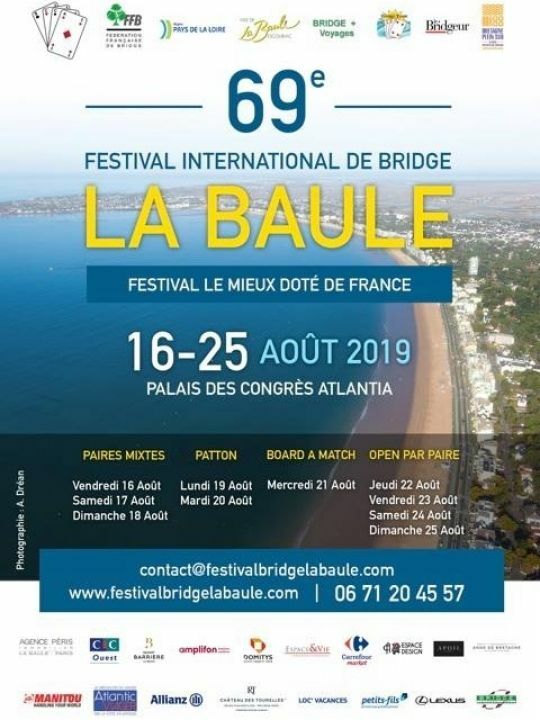 The 69th edition will be hosted at Atlantia, the Convention Centre of La Baule. 10 days of competition and 1,000 participants. The spirit of competition and a lot of conviviality! Fixed rate of 230 € for all 11 sessions of whole festival, to be taken for mixed pairs.